Today was home day! Nothing’s better than sleeping in your own bed. 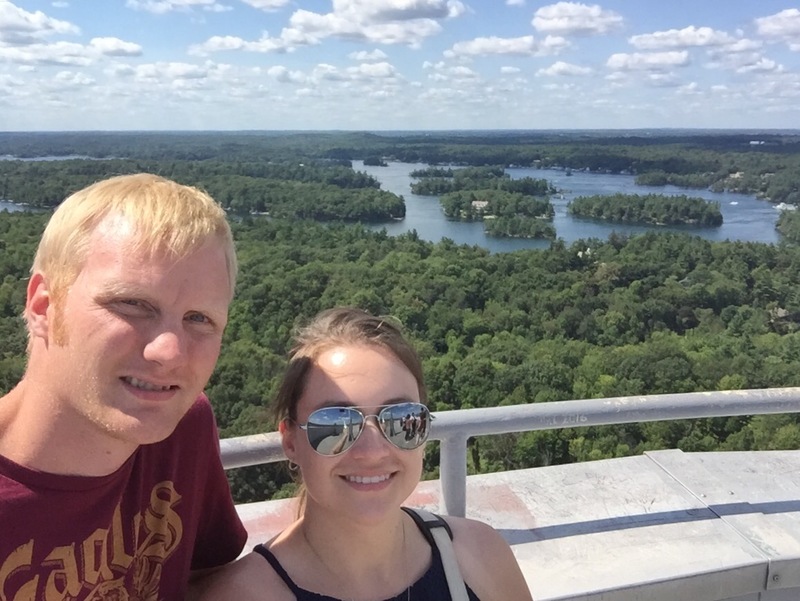 We still had a full day ahead of us, so we packed up around 9am and headed east to Gananoque to cross the border in 1000 Islands. The weather had stayed good throughout the weekend and it didn’t fail us that day. We crossed the Canadian bridge to get to the border and could see all the different sized islands around and the docks off those islands. Now Adam, for some unknown reason, gets extremely nervous at the border (if you don’t believe me, read our trip to Frankenmuth) and today was no exception. He has to turn down the radio to focus, he has to practice saying how he knows me, what we do for a living, where are we coming from. So after a good 5 minutes of practicing, he’s good (rolls eyes). So we get to the border and he’s pleased they are asking all the questions he’s practiced. But then they throw a curve ball at him. “How long will you be gone?” In Adam’s mind he’s thinking “Gone? Ok so we left Kingston at 9:30am, we travelled here at 100km/h and we have to go to Boldt Castle and we’ll have to get a ferry across to the…” The officer is getting pretty irritated that it’s taking him so long to figure out how long he will be in the States for that he just started yelling out times “So what like a couple of hours, 1 day, 2 days, 3 days, a week, what?” Adam (losing control of his volume again) yells 1 day. We finally go through, and as usual, something that the officer did, Adam didn’t like. So for 20 minutes, Adam is going on about how he doesn’t know my schedule and he didn’t know what time to tell him. I said “it’s not like we’re going out for weeks!” I apparently lost the battle on that one. 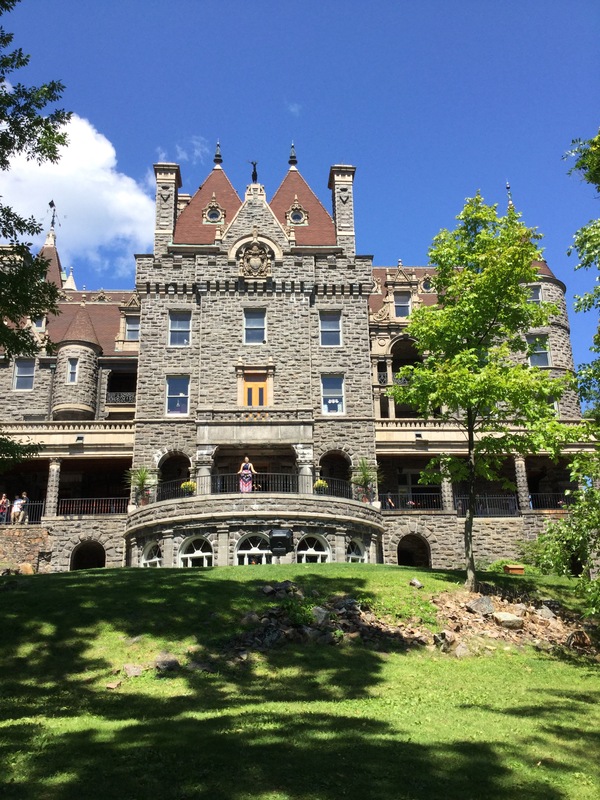 So we drove to Alexandria Bay to get the ferry to Boldt Castle and parking was ridiculous. Luckily, there were enough spots for us, but we have to go around tight bends, up hills (both ways) all while dodging pedestrians. 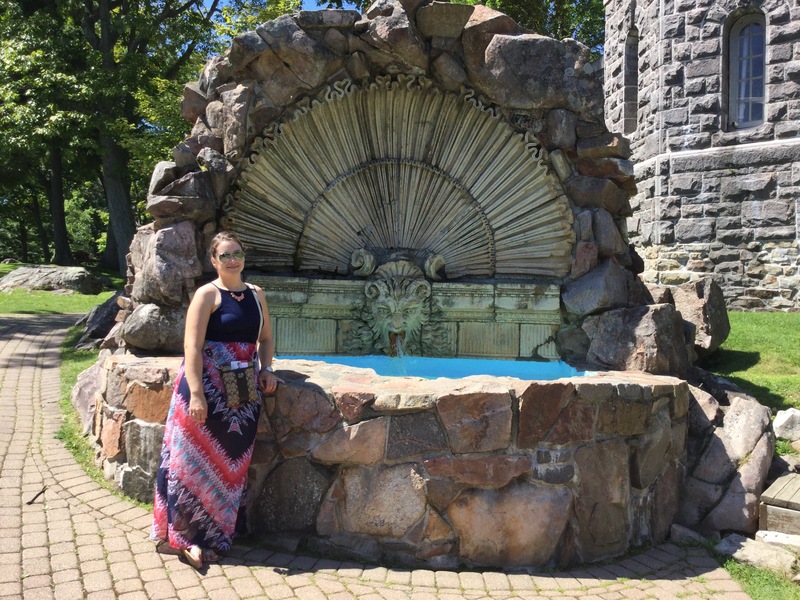 We couldn’t buy tickets for the ferry beforehand, but we did get the Boldt Castle tickets way back in April (when the flooding was happening). So we lined up got the tickets for the ferry and she said something like $50. Uhhh what? How is the ferry that much! The Boldt Castle tour isn’t even that much. 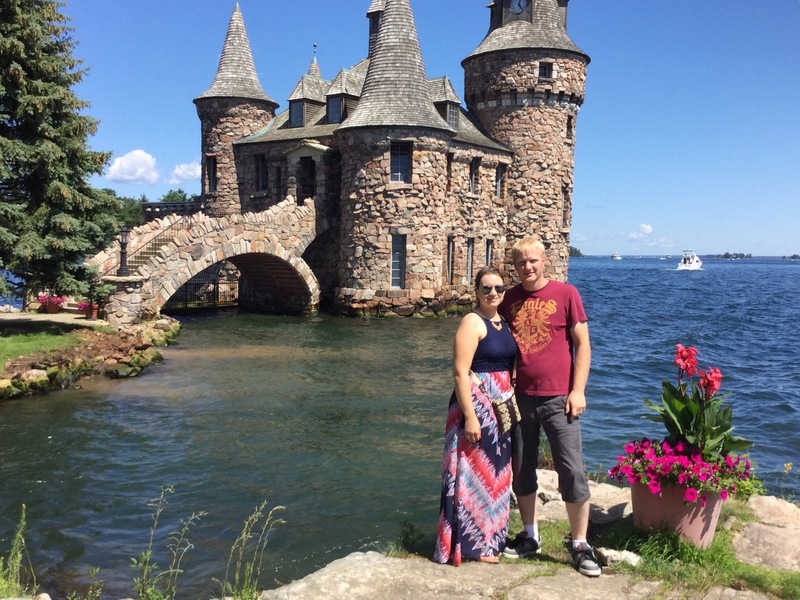 She said she added on the tickets to Boldt Castle. Umm ya don’t do that. I already had tickets and don’t need to be paying twice. So we got onto the ferry, travelled the short 10 minutes and arrived on the island. It’s pretty cool how many boats come to this one castle (American and Canadian both commercial and personal). There’s a little customs office on the dock for Canadian boats. 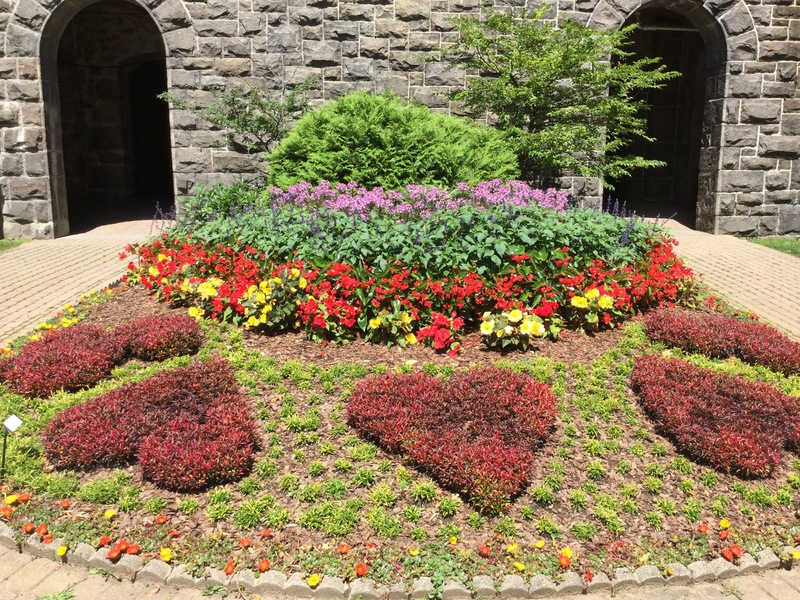 The grounds are huge and being on Heart Island, there are little hearts everywhere; in the stonework, the flower beds, the woodwork inside. We walked into the front doors and were overwhelmed on where to go. I don’t know if it’s just me, but I always tend to turn left and go clockwise. So we were in one room when I heard this obnoxious, ignorant woman say “You know Debra, this must be nicer than the Queen’s house!” The Queen’s house? Not wanting to get into an argument I was just thinking in my head “Do you mean Buckingham Palace? Balmoral? Windsor? Which one? And why would a millionaire’s house (built in the early 1900’s and not complete might I add) be nicer than a Queen of a nation and other countries around the world?” But I digress. 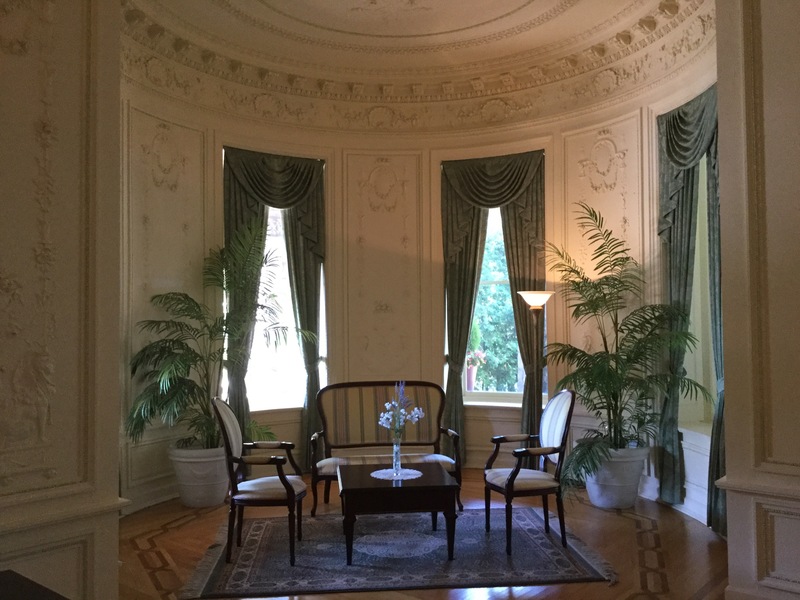 The mansion had many rooms that were just added in the last few years and were really well put together. The servant’s position much have been highly coveted as they had such a big beautiful house to work in. They also weren’t put in the basement to work (like Downton Abbey) but instead had a servant’s dining hall that looked out on the river which with those views, could have served as the formal dining hall. Even the servant’s bedrooms upstairs had amazing views and pretty big for the time. 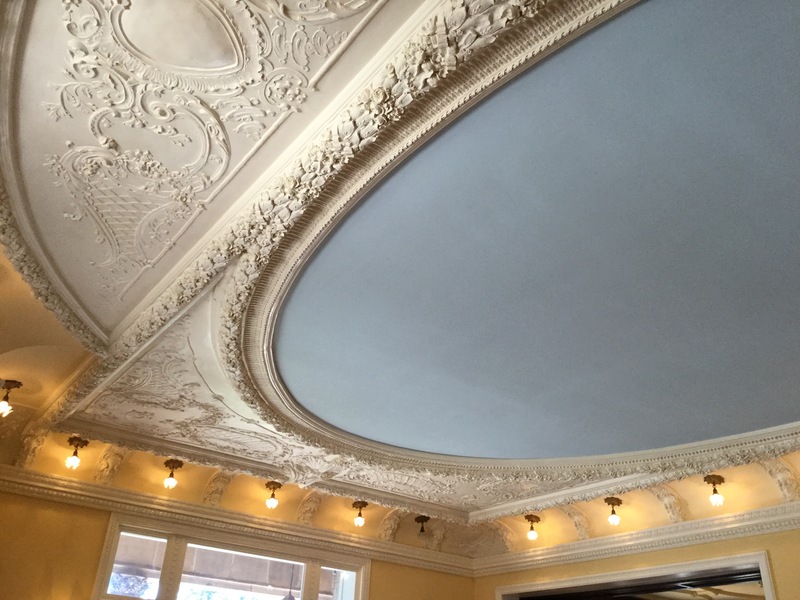 Not sure if it was either 6 or 7 stories (including basement and little landings at the top) but only the first 2 floors are completely restored. The third floor is somewhat done but has a lot of graffiti on it (which in my opinion should all be completely restored on how it would have looked if the house was completed) and the rest of the floors are not completed at all. There was a movie on the second floor (documentary) about the history of Mr. Boldt and the castle/island. Really interesting to learn that he’s the one who asked one of his chefs from one of his hotels he ran, to create a salad dressing to promote the area and came up with 1000 Island Dressing. He was also a hard worker that came from nothing and amounted to millions. 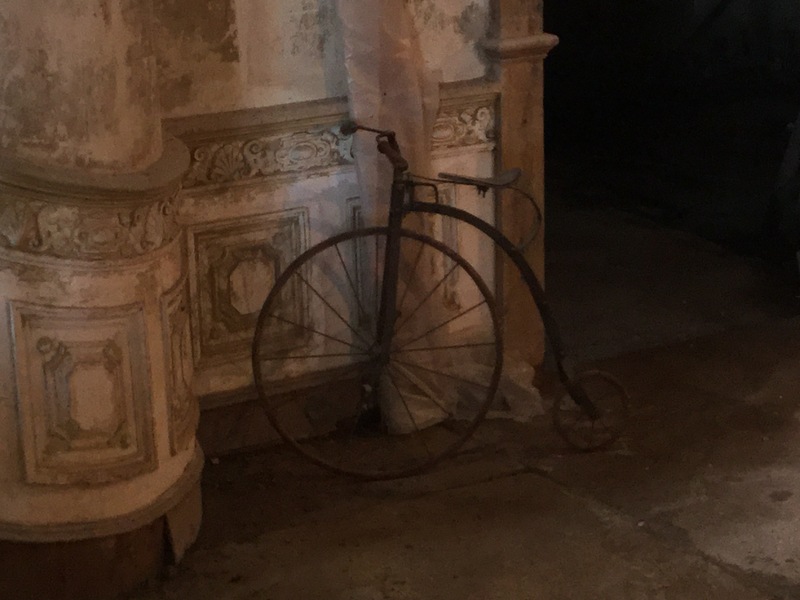 There was a pool in the basement of the house overlooking the gardens and the river, there was a play house for the kids and there was an old rusty bicycle covered in cobwebs which reminded me of the movie Casper. Then we got the free ferry to go across to the Yacht House and see all the boats from the era made of mahogany. The best part was the gardens outside and seeing the shell fountain. Had a great time there, spent a few hours on the island and got the ferry back and on our way back to Canada. Coming back across the border was still a little nerve racking for Adam but we got a nice officer who actually said “Welcome Home”. Well now see here, that’s just the darn tootenist cutest thing to say when Canadians are coming home and we loved that! 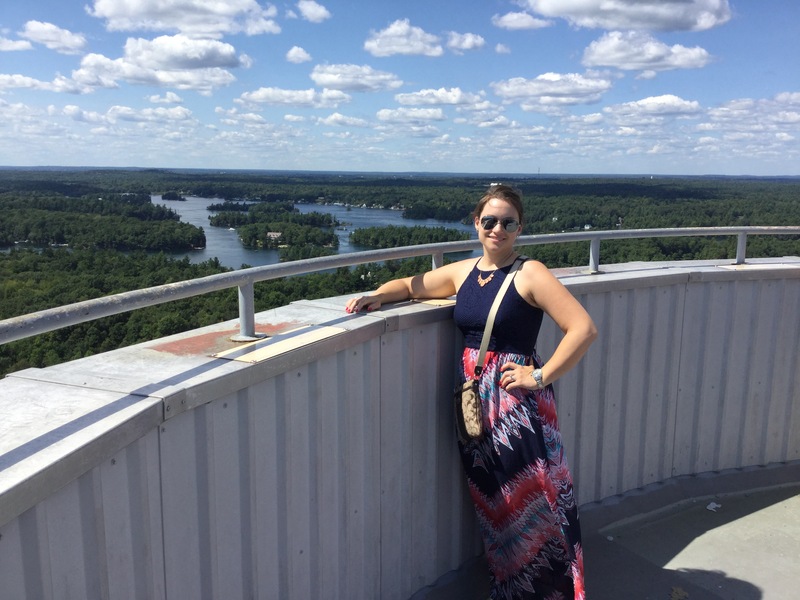 Then we drove about 2 minutes to get to the 1000 Island Tower which is (I think) 40 stories high and overlooks the 1000 Islands. 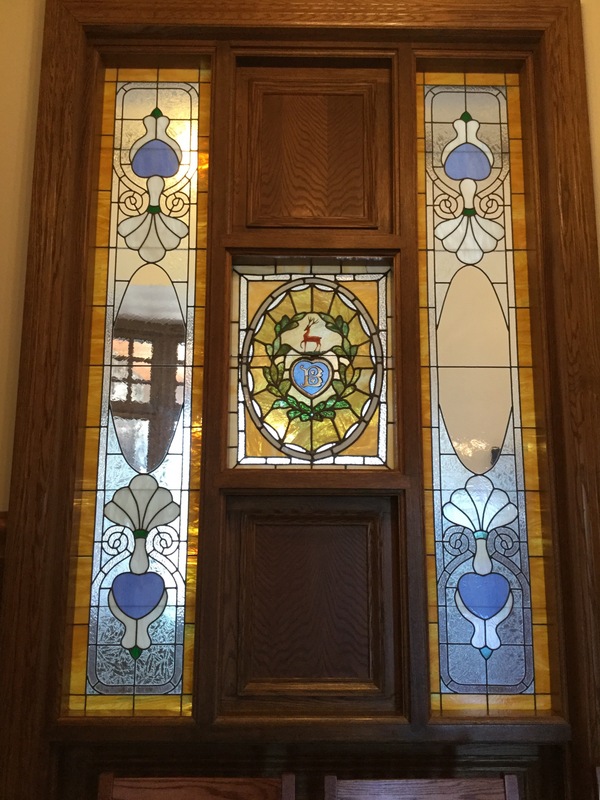 It has three levels; one inside with pictures of reference points in the area like Boldt Castle, second level was an open window area, and the top was completely open. We went up with 2 other families; a couple and a group of 6 adults. Now I was given a selfie stick by my in-laws (they got it for free on a wine bottle) because they aren’t the selfie lovers. So I think it’s just for Japanese tourists and I think it’s embarrassing to get one out and take pictures, so I hide it when I’m using it and only went no ones around. So we were on the second level and the other families had gone up to the top level so I got out the selfie stick and you know what, it really does take great photos if you don’t have someone to take a picture of the two of you. So we get some good shots and we walk upstairs and I can hear the family of 6 say “let’s get a group photo of all of us!” They struggle for a bit and then hear them say “we need a selfie stick or something. They’re so stupid but they get good pictures.” Adam and I are laughing because we know how stupid they look and apparently, everyone is embarrassed to use them. So we offered to take their picture after hearing that and we laughed and said “We have a selfie stick and were too embarrassed to get it out and use it.” With that behind us we get it out again and take some really good shots of us up 40 stories. We have a tradition that everywhere we go, we get a magnet. 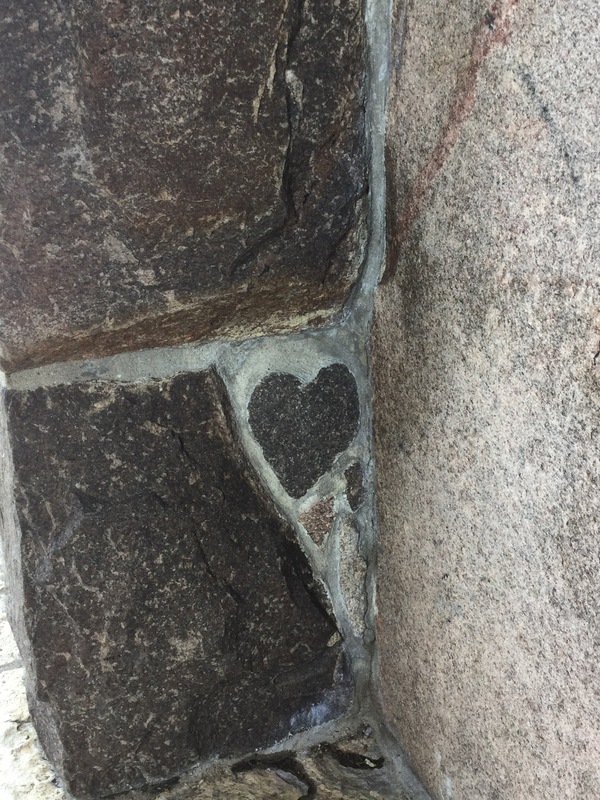 But we realized, after already leaving Kingston that we forgot to get a magnet, and now that we came across the border, we forgot about Boldt Castle too. So we get to the gift shop and luckily they have a magnet saying “1000 Islands” and has a picture of the 1000 Islands Tower and Boldt Castle! Win-win! So now we will just have to go back another time to Kingston to get a magnet. All in all, we had a great time on Kingston/1000 Islands trip; so much to do, so little time. Seeing as the weekend getaways are doing so well so far, we might venture out next year and do a Sleepy Hollow/Salem trip in the fall.